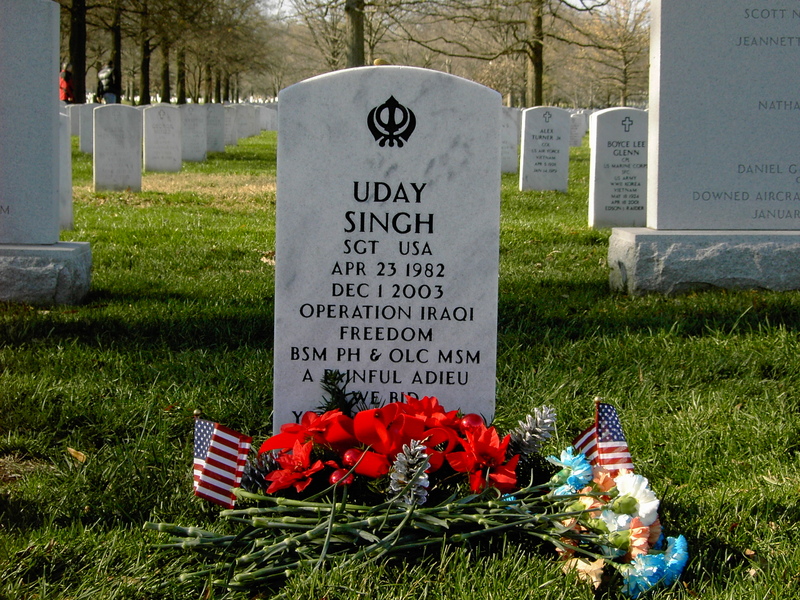 Memorial Day – The loss of strangers. Please also be sure to take a peek at my earlier post, where I also link to a really wonderful essay about the particular case of young veterans grappling with this nation’s holiday in memory of their fallen brothers and sisters in arms. Listening to NPR as I stood cooking the holiday meal for my family just now, I heard a Vietnam vet talk about the need to remember the individual lives lost in our wars — not just the numbers, but the people, and what might have been had they not been lost to us. It made me think of the Jewish notion (one I think that we share with Islam) that when we kill one person, it’s as if we’ve killed an entire world. This reminded me that I had meant to do just that: Remember individuals, by urging you to go to the Washington Post’s Faces of the Fallen, and just click on a face or two. Consider the ages (21 — had Lance. Cpl. Jose L. Maldonado celebrated that milestone with a beer or two? 31 — did Staff Sgt. Mark C. Wells leave behind a spouse and children? ), look at their faces, imagine their families. For a moment or two, hold these strangers who died so far from home in your hearts. Back in 2008, when the United States reached the milestone of 4,000 dead, I wrote something about those from my own state, Illinois, who had fallen in battle in Iraq and Afghanistan. A slightly edited version of what I submitted ran, and some time ago, on Veterans Day, I ran the original here on the blog. It seems right and meet that I should run it again today. In honor of the fallen from my home state — may their memories be for a blessing. As of this writing, 141 servicemen and women from Illinois are confirmed to have died in the course of the Iraq War. They came from big cities, mall-strewn suburbs, and places I’ve never heard of: Patoka, Gays, Blandinsville, Mahomet. More than 90 of Illinois’s casualties were 25 or younger when they died; thirteen were still teenagers. They were all, every last one of them, strangers to me, but they died in my name. I don’t know how to truly honor them, any of these people who died so far from home, not the ones from Illinois, nor the 3,859 others. So I find pictures online and look at their faces, at least a few, and try to register the facts. Try to give them that, at least. I’m pulled in by certain names, the occasional goofy grin, people who seem, somehow, familiar. Navy Petty Officer Regina Clark, 43 when she was killed, originally from Colona, mother of a teenage son; Sean Maher, a Marine from Grayslake, not much older than Clark’s son when he died at 19, two days before he was supposed to go home. John Olson, 21, from Elk Grove Village, looks as if he’s trying on his father’s hat; Christopher Sisson, 20, might have once hung out at the North Riverside Mall. Illinois’ first casualty, Ryan Anthony Beaupre, was killed on the third day of the war. In his picture, the 30 year old Marine smiles as if on vacation. I pray for him and for all the fallen soldiers, for all the living soldiers, for the families, for all of us in this country, for the Iraqis who also mourn their children. I have always opposed this war, but whatever I may think of the people who sent our men and women into Iraq’s unbearable heat, I know that those who went, did so for me. For me and my children, from a belief that it is right to offer your body as a sacrifice for the country you call home – even if it has not yet given you a passport. I know that for many soldiers, the military offers an escape; for some, it’s the only way to make a living; others are answering family expectations, or social pressure. Many oppose the war; many support it whole-heartedly. Some do bad things; most, I suspect, just try to get through their days in one piece, with one heart. But in death, I cannot sort them from each other. I cannot call this one my brother, that one my foe; the war they fought has in some way sanctified them, brought them to a place I cannot reach. I can only look into their faces and thank them, look into eyes that can no longer look back, and ask forgiveness. Housekeeping: Memorial Day, book recommendations, archiving, and adding links. As I’ve mentioned on the last several Fridays, I’ve been writing a regular book column for the Americans for Peace Now blog. I decided it would be a good idea to create a dedicated archive for those posts, and so I have. 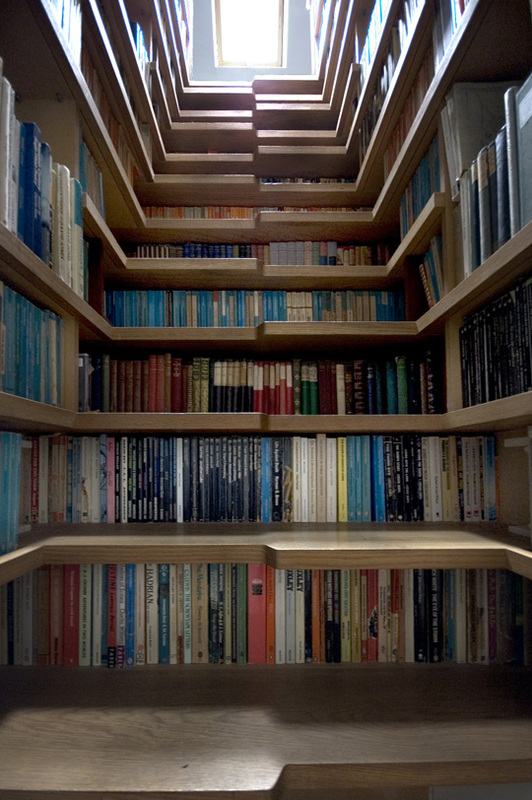 Just over there to your right, under “Pages” – Reading the Conflict: An Israel/Palestine Reading List. I also added the intensely brilliant and often rather funny (if occasionally in a painfully sharp way) Bernard Avishai — professor, speaker, essayist, author of The Hebrew Republic — to my Israel/Palestine blogroll. He doesn’t always focus exclusively on the conflict (today, for instance, he’s got a post up about the Chevy Volt — hence the blog’s tagline, I suppose: “Responses, mainly to rash opinions about Israel and its conflicts”) but he is a very important voice — sane, deeply informed, and passionate — on the topic. And I had no idea he had a blog! Very embarrassing. And that’s it from me today! I have folks coming over to eat hamburgers and watermelon for the holiday and I have to get a move on (there are fewer potato chips available than there were earlier in the three-day weekend, but I’m sure I don’t know anything about that). It being Memorial Day, though, I want to leave you with this: “Memorial Day’s New Younger Generation,” a post by Don Gomez, Jr, a spokesman with Iraq and Afghanistan Veterans of America (IAVA), on what Memorial Day means for the veterans of those wars that this country is still waging. Please click through and read the whole thing. Reading the Conflict: An Israel/Palestine reading list. For a time, I wrote a weekly Israel/Palestine-themed book recommendation for the Americans for Peace Now blog in a column called Reading the Conflict. It struck me that it would be a useful thing to give those recommendations a dedicated archive, and so I did that here. They’re in reverse-chronological order – name/author, a brief excerpt, and a link to the post on the APN site. You’ll find my bona fides for creating such a list, and an earlier list with a few books I didn’t get to on APN, by clicking here. I can say with all honesty that it wasn’t until I read Mary Elizabeth King’s 2007 A Quiet Revolution: The First Palestinian Intifada and Nonviolent Resistance that I understood that those stone throwers [of the first intifada] could have responded with arms and ammunition, but that their grassroots leaders chose not to. That, indeed, the entire intifada was rooted in notions of nonviolence. What stands at the heart of both the Jewish and Palestinian national narratives? Land – the very land itself, the narrow space on the great green globe on which both peoples claim their home, and by which both define themselves. 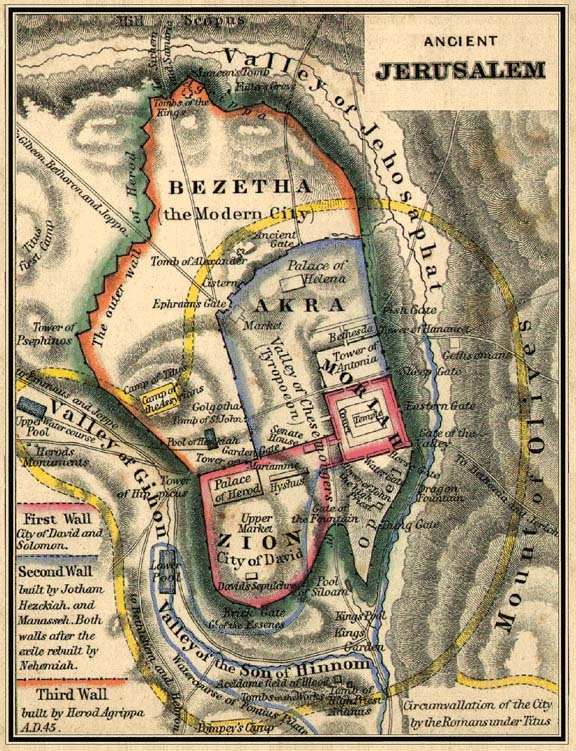 It’s no accident that in Jewish culture, Eretz Yisrael (the Land of Israel) is Eretz Hakodesh (the Holy Land). Yet over the course of decades of shedding each other’s blood over who has a stronger claim to the land in question, Israelis and Palestinians often find themselves virtually untethered from the very thing over which they battle, seemingly unaware of the impact that decades of warfare and politically motivated land use has on the land itself. Among the topics that Israeli Jews and supporters of the Jewish State are often uncomfortable discussing is terrorism. Not Palestinian and/or Muslim terrorism – that gets discussed at the drop of a hat. No, what is usually swept under the rug is the fact that the Jewish people itself has produced a fair number of terrorists, from ancient times up through the modern day. And so today, I recommend Jewish Terrorism in Israel, by Ami Pedahzur and Arie Perliger. Today, I recommend a slim and eminently readable volume that should be required reading for anyone who ever plays any role in Middle East diplomacy, in either the American, Israeli, or Palestinian governments: How Israelis and Palestinians Negotiate: A Cross-Cultural Analysis of the Oslo Peace Process. Anyone who wants to understand the roots of the current status of the Israeli-Palestinian relationship – both the basis for the assumptions as to what “a two-state solution” will entail, and the beginnings of much that has gone wrong over the last two decades – needs to start by understanding Oslo, and a great place to start understanding Oslo is The Process: 1,100 Days That Changed the Middle East. Israel’s discrimination against Jerusalem’s Palestinian residents has been systematic, entirely intentional, and designed to create and hasten a mass exodus of Palestinians, from the earliest days of Israeli control. Al-Jundi offers a glimpse into a life most Jewish visitors barely see as they rush past Arab shops and schoolchildren in the Old City. He writes of being raised by two blind parents, about neighbors and childhood pranks, and through his eyes, we see the constant, oppressive, and confusing nature of the conflict, even within Israel’s eternal and undivided capital. We see his mother reduced to tears by Israeli soldiers, and his aunt asking for figs from her home village of Deir Yassin – site of a horrifying 1948 massacre by Irgun forces, and today Givat Shaul, at Jerusalem’s western entrance, and site of a furniture factory at which al-Jundi gets his first job. Author Patrick Tyler, a veteran journalist (New York Times, Washington Post), brings a reporter’s sensibility to events that stretch out across decades, allowing him to cut through the fog of history, wars, and enormous egos to get at the heart of [American involvement in] the region’s story – and it’s not a particularly encouraging journey. Palestinian Identity was the first book to present the history of the Palestinian national movement through critical examination and analysis, putting forth the then-controversial notion that Palestinian nationalism was not a knee-jerk reaction to Zionism, but a national movement in its own right. Author Michael Riordon essentially upends the zero-sum game paradigm, simply by presenting portraits of nonviolent activists from both sides – and, crucially, including the oft-forgotten Palestinian-Israeli community in the conversation. The efforts to get around Israel’s occupation, heal wounds, and reach out are diverse, from theater work to draft refusal, legal appeals to traveling health clinics. The separation wall, meant to keep Israelis and Palestinians apart, often serves as a unifying factor, as people on both sides and up and down its length do what they can to oppose its presence in the heart of the land they share. The authors don’t absolve anyone of their guilt in the violence, but by writing an entirely accessible, fascinating work that posits the Palestinian people as a fully rounded society – an actual people, not the figment of someone else’s romantic or angry imagination – Migdal and Kimmerling provide an invaluable service, both to the Palestinians themselves, and anyone who might one day want to live with them in peace. What becomes abundantly clear is that a handful of Sharon-supported military thinkers guided Israeli government policy, and no quarter was given, or even honestly offered, to Yasser Arafat — or even his Prime Minister (now President) Mahmoud Abbas, who publicly opposed armed resistance. Israeli military and civilian intelligence agreed that Arafat was incapable of controlling the violence (in part because Israeli restrictions and military operations severely checked the Palestinian security services’ efficacy), but Arafat refused to admit as much, thus freeing Israel (with American backing) to blame the Palestinian Authority for endless failures to achieve a ceasefire. Originally published in 2008, Palestine Inside Out was revised a year ago, but little has changed since Makdisi first traveled the region, gathering facts and figures, tales and memories. From capricious rules at hundreds of West Bank road blocks, to the economic and health care disasters caused by the blockade of the Gaza Strip, little has changed for the millions of people living under Israeli control, where even the simplest of acts – grocery shopping, going to school, visiting loved ones – are routinely made difficult, if not impossible, by the mechanisms of the occupation. Le Bor tells the story of the conflict through the lens of the social history of the city of Jaffa, and achieves what is (in my reading experience) the highly unusual feat of consistently showing compassion for both sides and both national narratives. I really like this book because it relates the history of a bloody clash of nationalisms as a human tale — and, of course, that’s what it is. Yup – Hamas is a terrorist organization. Now what? I’m frequently asked about Hamas with regard to the Israeli-Palestinian peace process, and this past week has certainly been no exception. The questions take many forms, but they tend to boil down to this very reasonable query: “Hamas is a terrorist organization. How do you make peace with a terrorist organization?” Following is a bulked-up version of an email that I sent last night, in answer to that very question. 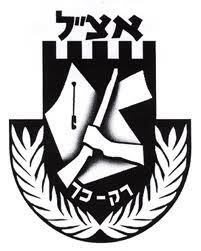 There’s no doubt that Hamas is a terrorist organization. Indeed, when I lived in Tel Aviv, they tried to kill me — by sending people to blow themselves up on buses that I rode frequently, and in the middle of a cafe just two half-blocks from my home. I had to cover several of those stories as a newspaper reporter, and I would be lying if I said that doing so wasn’t a particular kind of awful. Seeing what I saw, and knowing that the perpetrators would have been just as happy to have my blood join the blood that was splashed across the sidewalk before me didn’t always leave me feeling particularly even-keeled. So, yeah. No love from me for Hamas. But all throughout history, nations — Israel among them — have made peace with organizations and nations they found genuinely reprehensible. The PLO was (and some factions, let’s be honest, still are) a terrorist organization, and Israel found a way to talk to the PLO. Egypt and Jordan gave wiping-Israel-off-the-map a very, very good go, and yet Israel managed to find a way to achieve peace agreements with them. Going farther afield, the IRA was a terrorist organization, and today Ireland has peace. Not to mention that Israeli Prime Ministers Menachem Begin and Yitzhak Shamir were, in fact, bona fide terrorists themselves. Egypt made peace with the former, and the world went through the motions of trying to get the latter to make peace with the Arab world writ large, so, yeah. Humanity has a history of making peace with terrorists, both literally and figuratively. Much of Hamas’s popularity among the Palestinian people is explained much more by their service work than by their violence, however — things like providing soup kitchens, schools, and assistance to families of Palestinians killed by Israel. I’ll admit that I have a hard time giving them any credit for any of that, though, because even having said that, they’re beyond vile. Their vision of Islam is extremist and stultifying, they romanticize and have in the past perpetuated a truly twisted form of violent resistance, and they hate me and mine because of who we are. But they were, in fact, democratically elected to lead the Palestinian Authority (if only just – people don’t realize that. It was a protest vote against the PLO’s rampant corruption, and it was a “landslide” kind of in the sense of Newt Gingrich’s “revolution” in 1994 or Bush’s “mandate” in 2004. Which is to say: Not really) by people who’d been served by their service projects and were hoping to find accountability from their politicians, and who had given up on the PLO after 10 years of absolutely fruitless negotiations. I can’t blame the people who voted for them – and Israel all but handed Hamas that victory when it withdrew from Gaza without first negotiating security arrangements. Also, it’s worth noting that the day after those elections, 75% of the Palestinian electorate expressed the hope that Hamas would negotiate with Israel*, and in his book Palestine Peace Not Apartheid, Jimmy Carter reported that only 1% of Palestinians polled wanted to see a theocracy such as that envisioned by Hamas in the Palestinian territories. Moreover, just last week, a poll showed 70% of Palestinians opposed to the launching of rockets into Israel from Gaza, with 75% believing that military escalation would serve not them, but Israel. 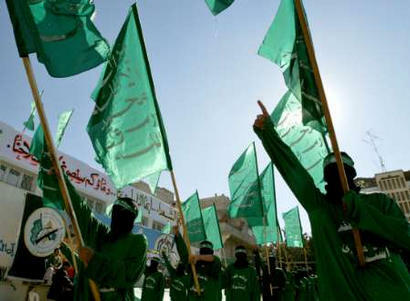 As a political movement, Hamas has political, national goals, and a constituency to which it is at least somewhat accountable and which is demonstrably not particularly keen on its more extremist tendencies — and thus, contrary to what Israeli Prime Minister Netanyahu would have us think, vile as I find them, Hamas is not the Palestinian answer to al-Qaeda. And finally, if I want peace, I have to build peace with the actual Palestinian people, not the Palestinian people I imagine in my head — and Hamas represents a certain slice of the Palestinian polity. If Israel gets behind a genuine, workable negotiating process toward a two-state peace plan, three-quarters of Palestinians have said time and again that they would support it — and Hamas, for its part, has said time and again that it would honor a referendum that approved such a plan. So sure. Like a lot of people, I don’t like Hamas. But that doesn’t matter. One makes peace with one’s enemies, not with one’s friends — and one doesn’t get to pick and choose one’s enemies. UPDATE: The first commenter, below, poses a reasonable question: How can anyone expect Israel to negotiate with an organization that doesn’t recognize its right to exist? Please be sure to read the question and my response, as well. *This figure is from a 2006 poll conducted by al-Jazeera immediately after the elections. I wrote about it at the time, and have the original link, as well as a link to the Google-cached page — but neither works any longer! You’ll either have to trust me, or get in touch with al-Jazeera. Every Friday, I post a book recommendation on the Americans for Peace Now blog.Soon after 1967’s Six Day War, Israel annexed the Palestinian parts of Jerusalem, extending Israeli law over all the city’s inhabitants. In subsequent years, it became a standard part of the Israeli narrative that Jerusalem was unified that day, and that the city is Israel’s “eternal and undivided capital.” The annual holiday of Jerusalem Day marks that reunification, and falls this year on June 1. What the holiday and official Israeli pronouncements gloss over is the fact that the city is, in fact, very divided — and always has been. Jewish Israelis generally don’t step foot in Palestinian neighborhoods, the residents of which are consistently shortchanged in terms of planning and budgets, and many of whom have had their homes demolished or their residency revoked. Israel touts the laws it enacted to protect religious freedoms, but fails to note the frequent imposition of strict limitations on who may worship at Haram al-Sharif, the Noble Sanctuary, in the heart of Jerusalem’s Old City on the Temple Mount. In short, the Israeli narrative is long on the Jewish claim to city – and short on the fact that Palestinians live there, too. 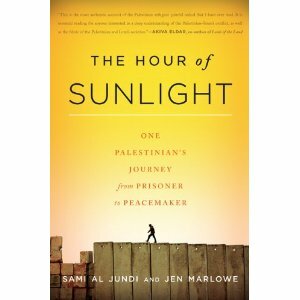 An important corrective to this vision can be found in The Hour of Sunlight, the memoir of Jerusalemite Sami al-Jundi, raised in the Old City home to which his family moved when forced out of their home village of Zakariyya in 1948. One story beautifully reflects a theme that repeats itself in al-Jundi’s tale: He and a young friend go swimming on the Jewish side of town one summer day, and are quickly taunted by a group of Jewish boys. They soon leave, but returning to retrieve a forgotten towel, al-Jundi is set upon. (To read the rest of this recommendation, please go to Americans for Peace Now). Do you know the muffin man? A recipe. Note: Image, while lovely, is not representative. This recipe involves no fruit. Once upon a time, I had a little boy who was a picky eater. Today, that boy (aka: the boy) has achieved a kind of peace with food that renders him not that different from your average picky 6th grader, but between the ages of about 1 and 8, he was… severely limited. He was, in a word, neophobic — genuinely frightened of new food. I would watch him tremble as I tried to convince him to try, say, watermelon, or rice, and watch the revulsion, and horror, and, I’ll say it again, real fear cross his face, and I can’t say that I was always as patient as I might have been. I quite literally have never been prouder of my son than when he was able to find a way to start climbing past all that somewhere in his 9th year (as I wrote here, in a piece that never got picked up for publication but which finally saw a sliver of daylight when I put it up on this here blog). I wasn’t always patient, but I did try very hard. Among the efforts made was to get as much nutrition as I could into the boy’s body via the foods that he would eat, and for one, brief, shining period, that included muffins. Basing my efforts on existing recipes but creating something specific to our needs, I wrote a recipe, and thank God, because it very quickly became the only kind of muffin he would eat. For years and years, he lived on these muffins, organic fruit leather, orange juice, toast, sandwiches made on whole-grain bread with soy-nut butter (I suspect it was the mild peanut allergy that set off the neophobia in the first place) and home-made apricot jam (the jam also being a vehicle for nutrition, as it was just dried apricots simmered in apple juice and blenderized), pizza (…), and very little else. Crackers, but not all crackers; french fries, sometimes; Cheerios and Oat Squares without milk — and then not. A particular kind of Clif bar. If we had allowed him to survive on hard, dry, salty things, we probably would have come up with a sizeable list, but we tried to keep that to a minimum. Parenting! As I say, today, he’s pretty much your average picky kid, with what I think is a greater willingness than many to at least try the new thing. He almost never likes the new thing (! ), but at least he’ll try. And I give him enormous credit for that. Along the way, the girl was born, and she came to like the muffins, too, and as they are in fact extremely tasty, they have remained a family mainstay. I made a batch just last night. And today, I give the recipe to the world. Bon appetite! Note: Whole wheat flour is simply much heavier than its white counterpart. By including a little bit of white flour, using slightly more baking powder and -soda than another recipe might call for, and throwing in an extra egg white, you’re making sure that the muffins aren’t leaden in character. Mix dry ingredients thoroughly; add the rest and beat lightly, until just moist. 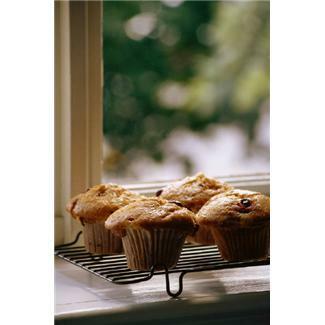 Line muffin tins with paper baking cups; fill cups 2/3 – 3/4 full. Bake at 350 degrees F for about 20 minutes, or until muffin top springs back when touched (I always check at the 18 min mark). Good stuff: But will Pampers pay for the extra college costs? The husband and I have exactly the right amount of kids for us: Two. The two best, smartest, funniest, sweetest kids on the planet — kids who were unfailingly polite at the hairdresser’s today as they they got their hair cut, and reduced each other to helpless laughter tonight as we all played a board game. The boy and the girl are my sun, my moon and my stars, and with the husband as terra firma, we’re just as we should be. But I would be lying if I said this Pampers commercial doesn’t make me sort of long — a little wee bit — to hold a baby again. h/t The Hairpin — which you should mos def check out, for it is an ab-fab blog. Debunking a very little bit of Netanyahu’s speech before Congress. Right then. Given my conquest of all the foreign airwaves — the BBC on Friday, Russia Today this morning — on matters Israel/Palestine, Obama and Netanyahu, I have been feeling a certain moral obligation to blog about Bibi’s speech before Congress today. But I have finally just read it (he was delivering the speech as I was finishing my little bout of punditry this morning. Coincidence? Probably) and oh my good Lord — I was exhausted beforehand, and now I’m exhausted and my head hurts. The arrogance, the hubris, the lies, the sheer, balls-to-the-wall chutzpa — and the US Congress applauded, and applauded, and applauded again. I’m glad I didn’t actually hear that part. It was dispiriting enough to read it. Especially the parts where the word “applause” was proceeded by “cheers.” Cheap political points, y’all, just hanging there, ripe and for the taking — and take them, the United States Congress did. I just don’t have it in me to write about Bibi’s speech now. Bibi’s speech knocked the will to write about Bibi’s speech right out of me. I did make several points about it on Twitter as I was reading, however, and so I’ve decided to meet myself half-way: I’ll present below the entire transcript, with added notations. Beneath the transcript, you’ll find fleshed out versions of those tweets — I’ll flesh them out in such a way that you can read them without having to dive into the transcript, if you don’t feel like it (it was a very long speech, though, so keep scrolling to get to my notes!). Tally ho! Speech and comments about same, after the jump. Israel, Palestine, Obama, Netanyahu, & me – on Russian TV. Hey there! I was on the tee-vee! In Russia! I can’t yet figure out how to embed the clip into the blog, so for the time-being, here’s a link to the story on Russia Today — I’m quoted in the article and my clip is the third one down — it’s just shy of five and a half minutes long. Hopefully I’ll be back with the clip itself a little later! Minor success on the embed front. I can’t get the whole thing to embed in my free WordPress platform, but I found an edited minute of it on YouTube (they start referring to “political writer and blogger Emily Hauser” at the 46 second mark). To watch the whole thing (complete with the oddly blunt-instrument questions of the British anchor who originally interviewed me), click on the link above.